The oil exporting part of the Arab world, though seemingly homogeneous, carries within itself noticeable differences of the economic, political and socio-cultural nature. 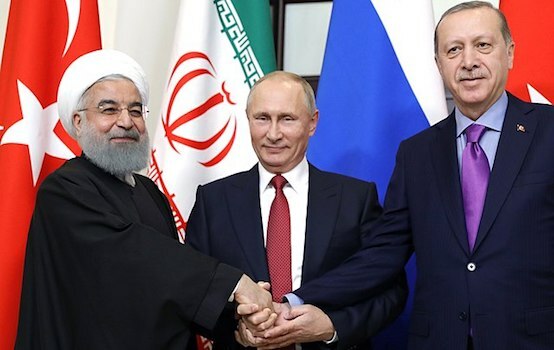 The only circumstance that brings them together is the oil market urging them to shape more or less similar positions in the interests of maintaining guaranteed demand for hydrocarbons and the level of world prices. In other aspects, their ways can differ substantially, particularly when it comes to internal evolution under the conditions of an increasingly complex geopolitical and geoeconomic situation, active globalisation processes, turbulence in the Middle East and North Africa against the backdrop of growing contradictions between the developed and developing worlds and between the world players themselves. 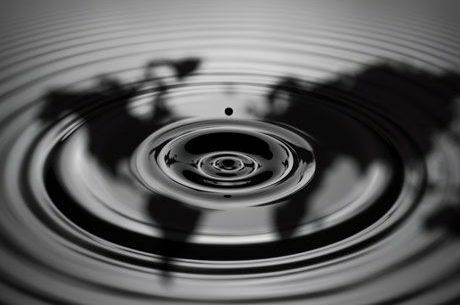 There is an obvious possibility of the emergence of accidents, unexpected circumstances and factors which can adjust the vector of development of oil exporters and even change the paradigm of their development. In such circumstances, their internal stability should be considered as a provisional value. On the whole, the entire Arab oil producing areal is faced with quite tangible challenges and threats, with the only difference being that in some places they have already emerged in a hard way or are in the process of maturing to emerge with large intensity later on. And in other places, they are masked by the enormous and cleverly managed and distributed profits from oil, by the developed infrastructure and comfortable living conditions for indigenous people and partly for outsiders as well as by the extensive connections in the framework of global economic activity under the patronage of the West. This is a serious “airbag”, but it should not be considered as a permanent component of national security and livelihood. It is a different matter when it comes to weighing the most common possibilities and versions of development, which makes it possible to establish a certain general trend, according to which oil exporters will be accumulating the growth potential and realising the advantages of their place in the system of international distribution of labour. In the framework of the vision of the common tendency, it can be assumed that, if the current course in the Arab energy exporters is retained (even with some deviations from the established resultant in the development and dynamics), its preservation, in the near term, can be considered as very likely. It can be expected that the state will not be able to get far away, even with time, from managing significant segments of economic and social processes. This can be expected due to, for example, the conventional and stable perception of the idea of autocratic economic activity, on the one hand, and the intuitively reluctant attitude of Arab capital to the privatisation of large and more so very large production facilities, on the other hand. 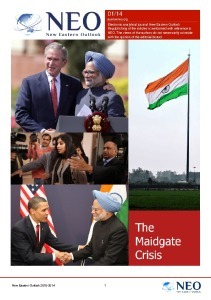 It is also supported by the fact that, with the persisting global crisis, it was the state in the Gulf countries that mobilised forces at the end of the 2000s to order to decisively tackle financial difficulties from the outset. This circumstance will be taken into consideration in the mind of the general public and in the long term as an effective means to tackle macroeconomic problems, to solve social issues and as a tool for optimising the national systems of regulation, distribution and investment planning. In such circumstances, private capital is unlikely to go beyond expectations. It is not by chance that in monarchies it is the forces of the state that are used to consistently create interconnected intraregional infrastructure. It is turning, matter-of-factly and increasingly, into a backbone element of modern productive forces and expanding the development horizons unattainable with the concentration of private efforts alone. Previously, only material production had exclusive priority in shaping basic clusters in the economy. Nowadays, this function is increasingly shifting to the economic and social infrastructure. In the Gulf conditions, it is and will remain that bridge which brings together the internal markets of the region and increases the interest in it. At the same time, the region itself will get established not only as a financial and industrial enclave but also as a transit hub for foreign investors, manufacturers and international suppliers of goods and services. It is visible that Arabian monarchies are striving to completely monopolise their region and to play the indisputably main role in it in terms of the economy (in addition to financial substantiality). This is necessary so that they could send impulses to the outside world themselves and minimise strong pressure on the part of their influential foreign partners through the diversification of their foreign economic and foreign political relations, the expansion of contacts with other counterparties and the maximum economic and political ascent of their areal. The scope of work convinces that the state will hardly give up the intrinsic role that it currently has and is very likely to extend it in the future, as managing the growing assets requires the mobilisation of power where there is insufficient entrepreneural initiative of national capital. The expansion of this tendency only strengthens the conviction of Eastern society in the state’s might. In its eyes, only the state will be capable, at the turn of epochs, to mobilise the resources, move up the reserves and, based on the methods of state regulation and state support, to develop an alternative to the structural reforms and measures of macroeconomic stabilisation which, having been implemented in some countries of the Arab East based on the templates of supranational structures and global corporations, turned out to be destructive in the end. And this graphically demonstrated the essence of imitative modernisation to their potential followers since transnational economic entities are ultimately interested only in resources, including and particularly Arabian energy resources, and only in connection with that, secondarily, in the preservation of the political status quo in this region. It is not impossible that in this context the current patrimonialism and sultanism (especially in the spread of unmanageable processes in social and political life) is made legitimate in some changed or new authoritarian form. It is very likely that it will emerge with the rights of stringent control and distribution of the social product in the conditions of exacerbated environmental problems, shrinking living space due to reduced food and water resources, the escalated demographic factor, threats of various etiology on the part of competing centres of power. Or it may emerge in the form of “enlightened” or “appropriate” or some other authoritarianism which will be inclined, to a greater or lesser extent, to conform to the needs of society. But in that case, it will have to move towards the goal by looking for more adaptive models and management tools designed for at least limited national dialogue, compromise and consent for the sake of maintaining social peace and coherent movement along the path of the modernisation of economic structures, the essence of which is more in line with national interests. The combination of so many tasks makes it a winding path, it requires to take into account a multitude of incoming factors and appropriate tactical tricks, to create a developed system of various checks and balances, which can endlessly postpone the set goals. But for the distant future, the direct extrapolation of current dynamics and realities would be a mistake. There are at least three reasons for that. Very high dependence on the external factor (Libya, Iraq, Syria as an example), which, in combination with the out-of-proportion accusations by the West of the power in authoritarianism, have led to frightening consequences for the population. And the lack of guarantees against such actions in the future in relation to unwanted regimes. Hence, the formational shifts in the world in the form of the advent of a new technological pattern, which is capable to change the usual beliefs about modern capitalism and demonstrate different facets of global livelihood, can refocus geopolitics and geoeconomics in such a way that they will drastically transform the space and all interactions on a global scale and lead to unpredictable shifts in the entire system of world order itself, in which all states will have to look for new places, including the trouble-free Arab countries.